Veronica Roth is the #1 New York Times bestselling author of Divergent, Insurgent, Allegiant, and Four: A Divergent Collection. Ms. Roth and her husband live in Chicago. You can visit her online at www.veronicarothbooks.com. I am not sure what all the hoopla about this book was about. I read it cover to cover and it was amazing! It shows you to look at a culture through the eyes of someone who lives in that culture. Because although you might think they are savage and bad people. That may not be the case. This book grabbed me from the first pages of starting it. It starts off with a bag and you really are slightly lost in the chaos of what is going on in this world that author Roth has created. She did a wonderful job drawing you into the story and making you want to know more. 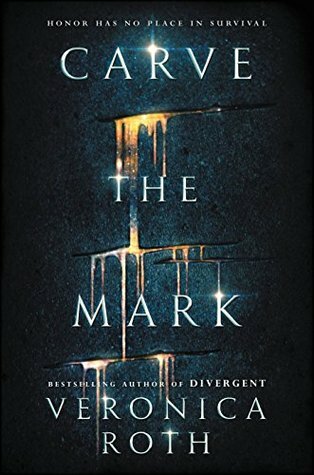 The writing was wonderful just like her other stories (Ya know the one where people hate the last book :) Ya that one) This one was very fast paced to start out with and it pulled me into the story and took me on a journey. I really got a feel for the world as the story unfolded and I couldn't put it down. I could feel the cold chill as I read each page and then the hot air as it switched to yet another part of the planet. The entire story had a great flow from fast to a good slow pace to speeding up when needed. It really shows how much a seasoned writer Roth really is and how she can create such intricate and amazing stories. I read all but 100 pages of this one in one day it was so good. The characters were also wonderful each one had their own identity and were full of emotion. I really loved both Cyra and Akos! You could really feel how tormented each one was and that they were just trying to live their live surviving as best as they could. The secondary characters made this book very well rounded and again unputdownable. The author did an amazing job with everyone in this story. The POV change is where things get a little weird. The first part of the book was well done but towards the end, POVs would change which was fine but the previous POV in parts would just cut off which was very weird and when it first started happening I thought my book was missing pages. I realized after going back that it made sense for the POV to end that way but it was a shock when you're reading and want the pages to flow. The rest of the POV worked very well and you always knew where you were. The conflict in this one was wonderful! I really liked how this story played out and there were a good amount of twists that I didn't see coming. One of which is towards the end. This one didn't shy away from blood guts and gore just so you know. So make sure you're ready! Becuase we have everything from poisons to fights and more. As the ending came near I started wondering where this one was going to end. Was it going to end on a massive cliffhanger where I was going to hate my life lol? Well, I am happy to say that it didn't. Although I can't wait for the next book I won't be wondering when I can get my hands on it. It was a very good ending and I can't wait for more.